Hello Beauties! If you read my blog regularly then you'll know that I'm a tad obsessed with foundations. And when I say obsessed I mean I own about 10 and thats after a major clear out, way more than any one person could ever use up but I can't seem to stop myself buying them (this will be proven later on this week when I publish yet another foundation review) and on a recent trip to Boots I decided to try out the L'Oreal True Match Mineral Powder Foundation. I originally picked this foundation up as I thought a powder foundation would offer me a longer lasting matte finish, but I'd clearly not done my research (proof of my impulse buying yet again!) as powder foundations do not necessarily result in a matte finish. I'm not too sure why I picked this up to be honest, as I hated the L'Oreal True Match in the liquid form and ended up giving it away, despite it being a blogger favourite, however I do really like it in mineral powder form. I picked up the colour W1 or Golden Ivory which is completely the wrong colour for me as I'm anything but golden but I do manage to make it work as it is light enough for me, maybe just a bit too yellow toned as I do have very pink toned skin. The foundation comes in a little pot with a brush which I think it is a nice idea, kind of like its the equivalent of having a pump on liquid foundations. I did find that the powder was quite hard to get out at first as it was quite full but as the pot has emptied out it now comes out with just a little tap. Now, on to the actual foundation...this is my first mineral powder foundation so I was a little skeptical that it would provide me with any coverage, but I have to say this provides a great medium build-able coverage and covers everything that I would want it to, including dark circles under my eyes and all of my blemishes. What I really like about this foundation is how it feels on my skin. I have very oily skin so foundations tend to feel slightly 'sticky' on me which let me tell you, is not a nice feeling, however this one feels so light and smooth, like I'm hardly wearing anything at all. It also makes my powder products such as setting powder and bronzer/blusher blend so much easier into my foundation to create a more natural looking, flawless effect. As I said, I have very oily skin and I can never find foundations which stay put on my skin or that don't sink into my huge pores. The L'Oreal True Match Mineral Powder Foundation has a satin finish, definitely not matte, but also not too shiny for my liking and it lasts pretty well. 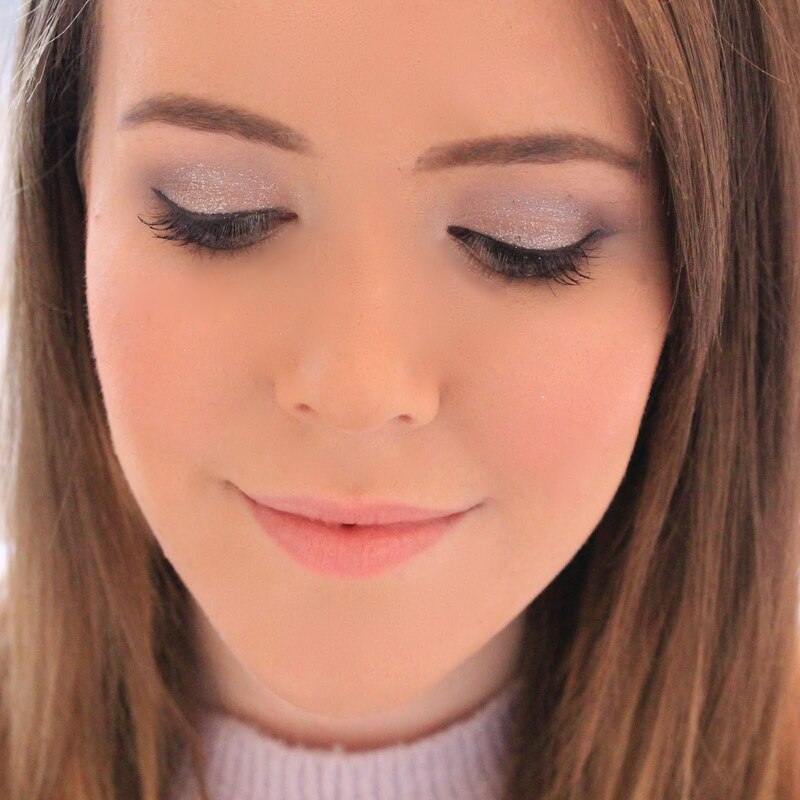 I usually put my make up on before I drive to Uni around half 6 in the morning and it seems to keep its finish until around lunch time when I would need to top up my powder to get rid of some shine which has crept through. I also really liked how it didn't separate on my skin and it smoothed over my pores all day. Overall, I really like this foundation and it has become my 'go-to' foundation recently despite it being something completely different than what I'm used to - I guess I should branch out more! I do need to pick this up in a slightly more pink toned finish though to make it look more natural so as soon as I spy one I will definitely be picking it up. Have you tried any mineral powder foundations? I'd love to know your favourites as I now see myself as a bit of a convert! Mineral foundations just sound so much more easier than liquid! One of the main reasons I don't read for liquid to often is the fuss of putting them on, so I definitely need to try this out. Sounds like a lovely foundation! I dont tend to try powder/mineral foundations just because i get quite dry skin around my nose! I always love the idea of mineral powder foundation but sometimes I feel that they can make my skin feel 'scratchy' and uncomfortable. Sounds like a great product for the summer/hotter months! Im not a big fan of powder foundation! I really want to try out some mineral foundations, this one sounds so nice! I totally love mineral powders and foundations they always feel so light and still cover up well! However some of them tend to sometimes be a bit dry.